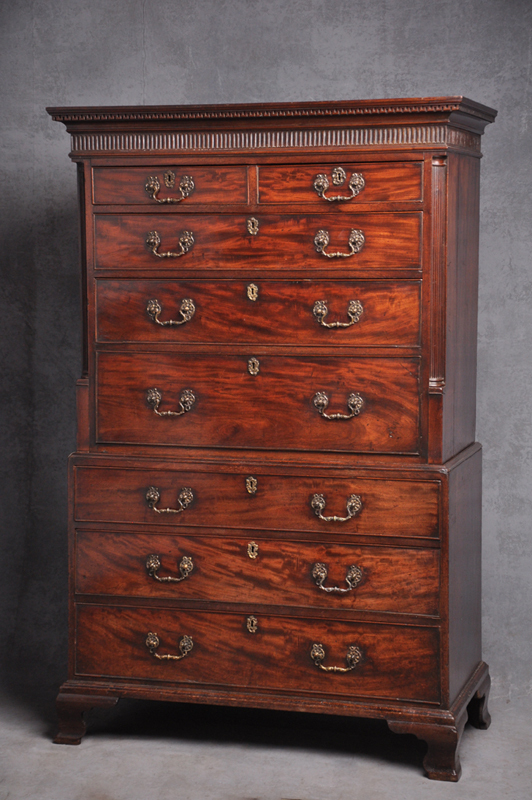 A fine and rare quality 18th Century Chippendale period Secrataire Chest on Chest of outstanding colour and patina in superbly figured Mahogany. 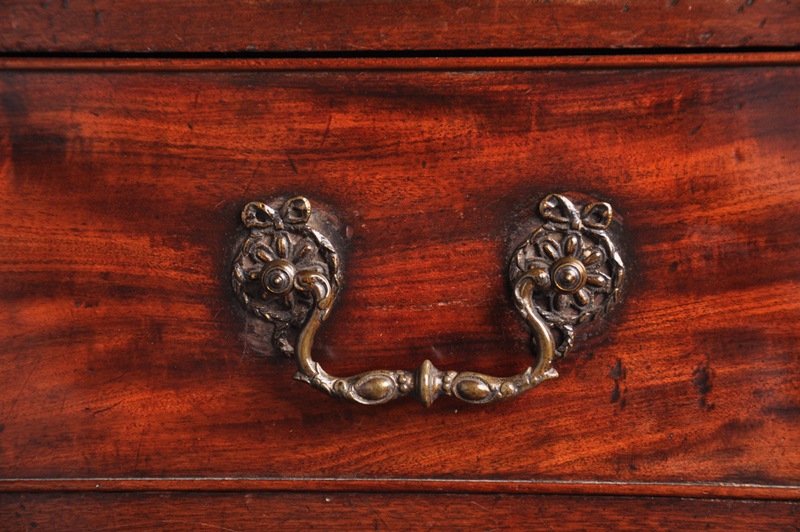 The chest has its original ornate cast brass handles and original brass fittings to the hinged section of the secretaire drawer. 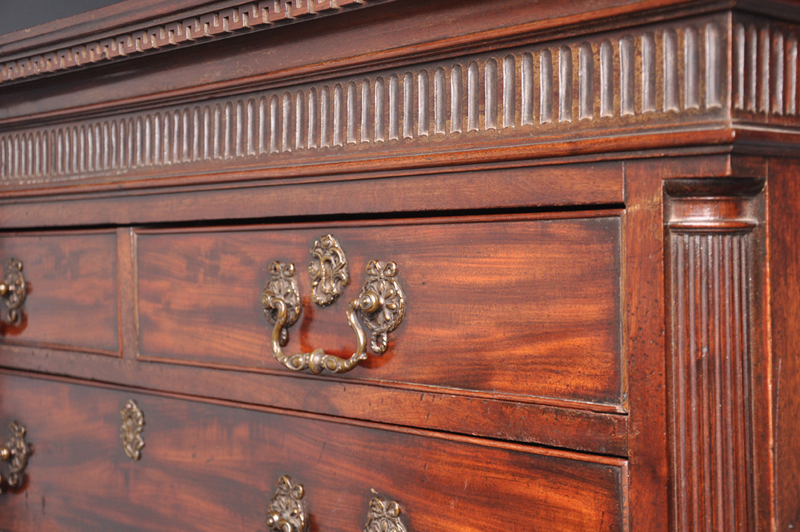 The Chest has a nicely carved dental and freeze to the top with fluted columns to the corners and stands on original ogee bracket feet. 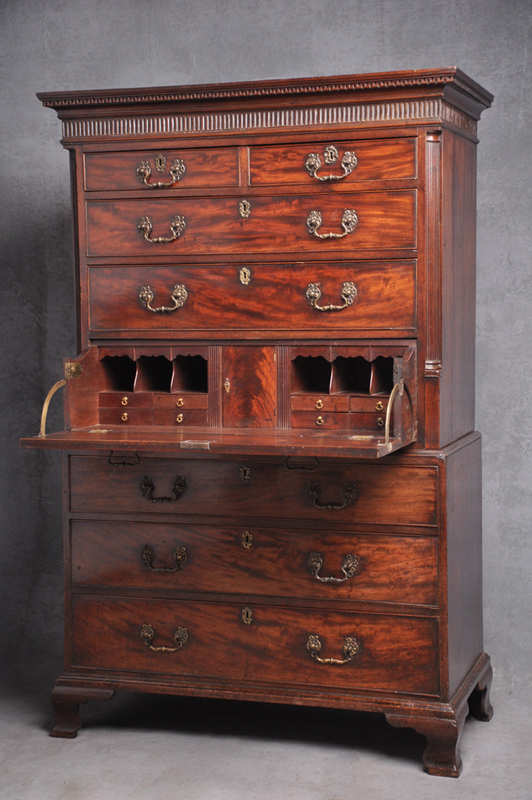 The secretaire drawer opens to reveal a central door veneered in curl Mahogany flanked by pull out pilasters and small drawers, to the top there is a shaped freeze drawer. The piece is lined throughout in oak.